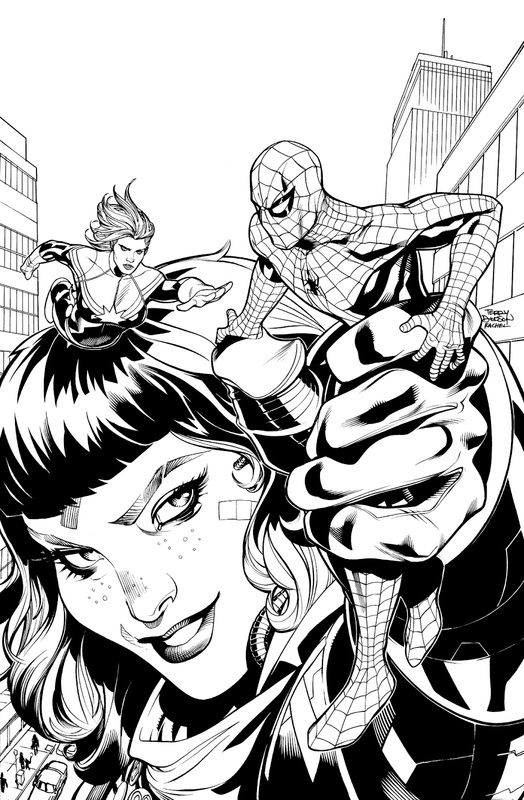 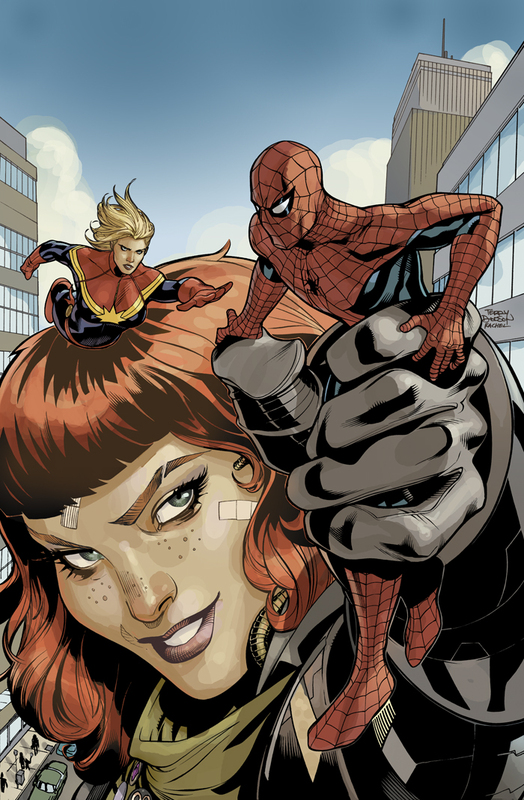 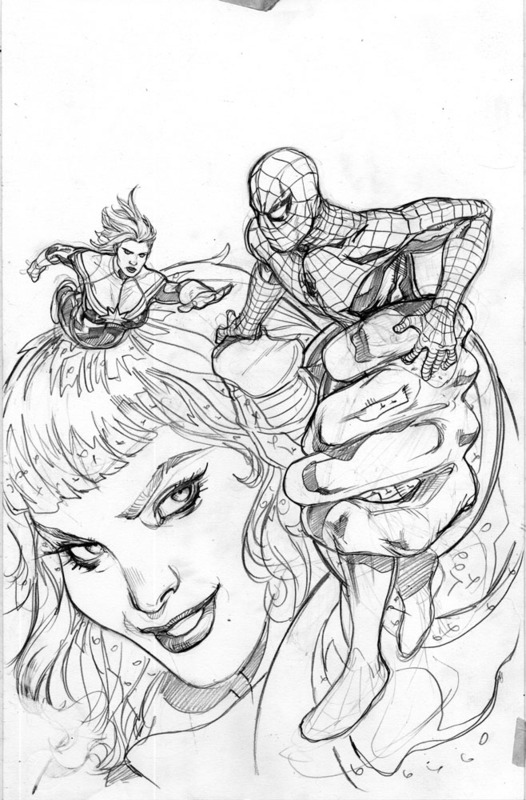 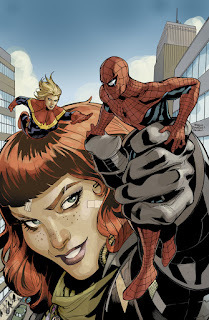 This is the cover for my second issue of Avenging Spider-Man featuring Spider-Man and the new Captain Marvel. 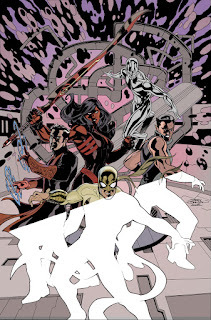 This issue shipped in August. 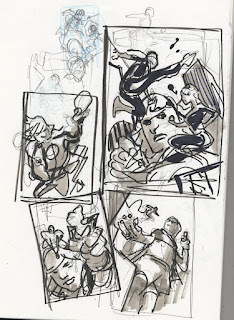 Here's the scan of the page from sketchbook of my cover ideas - image is about 4 x 6". 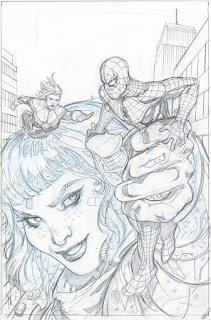 Drawn in Light Blue and HB Pencil, Pitt and Copic Pens. 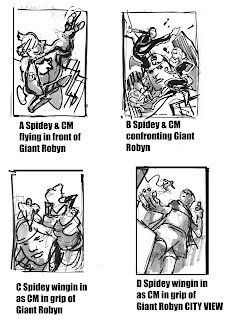 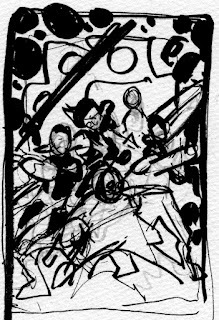 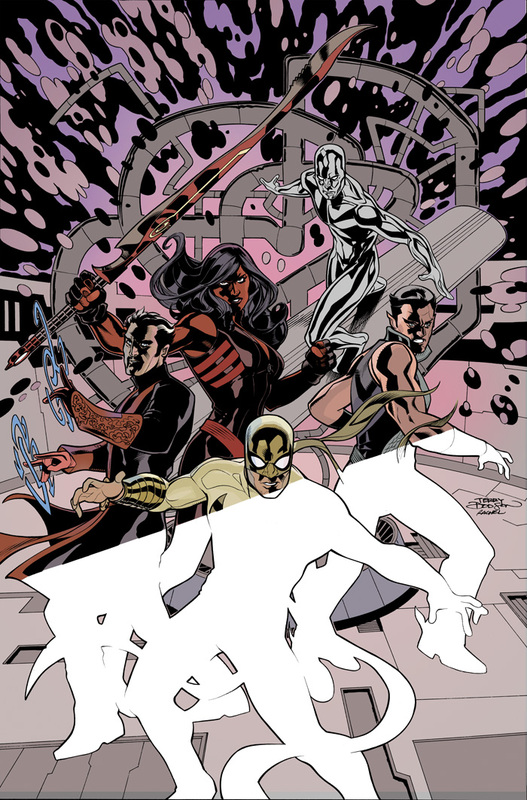 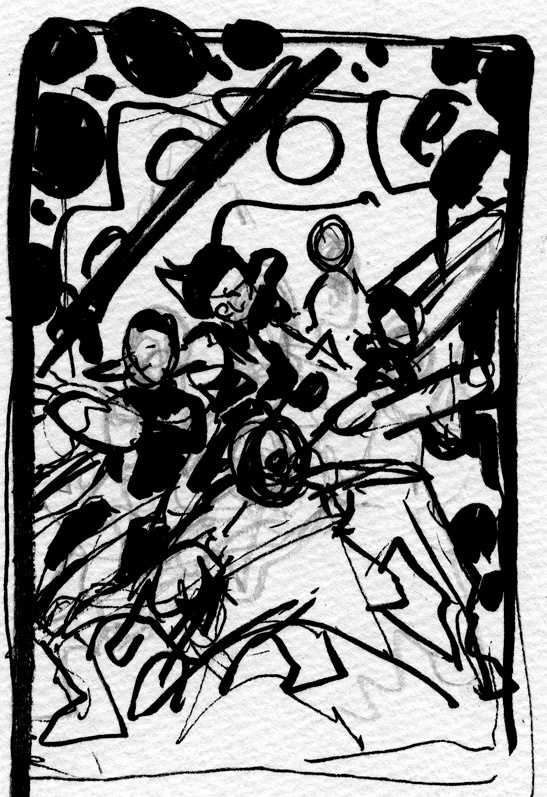 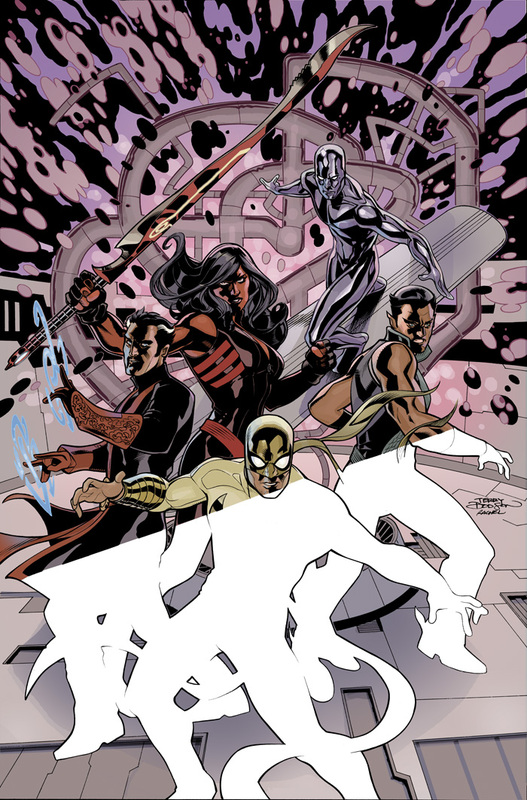 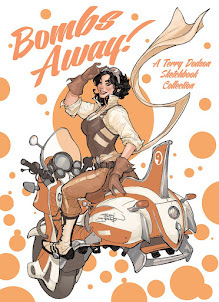 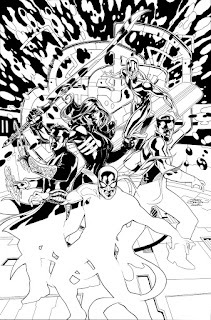 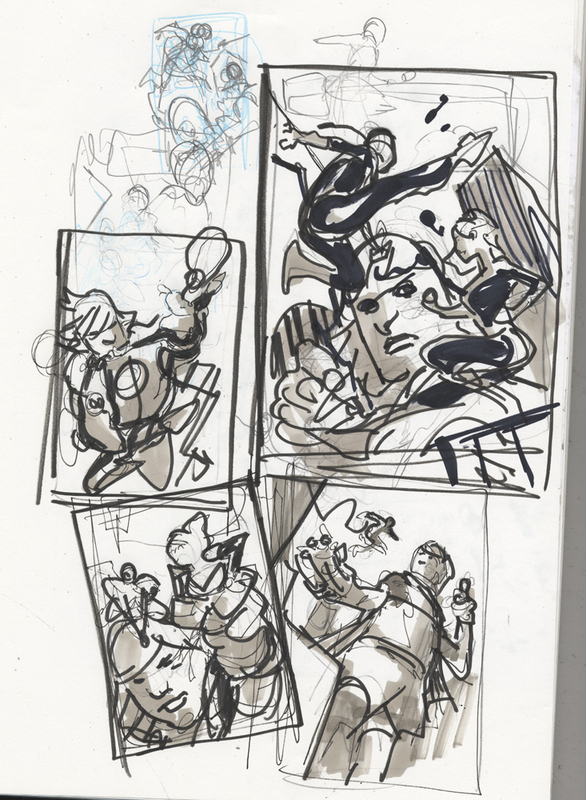 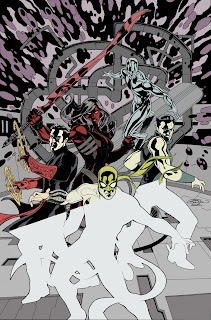 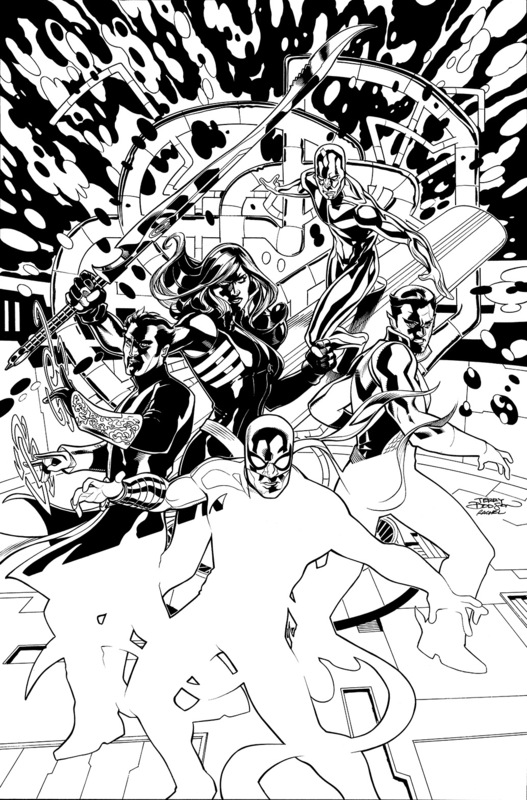 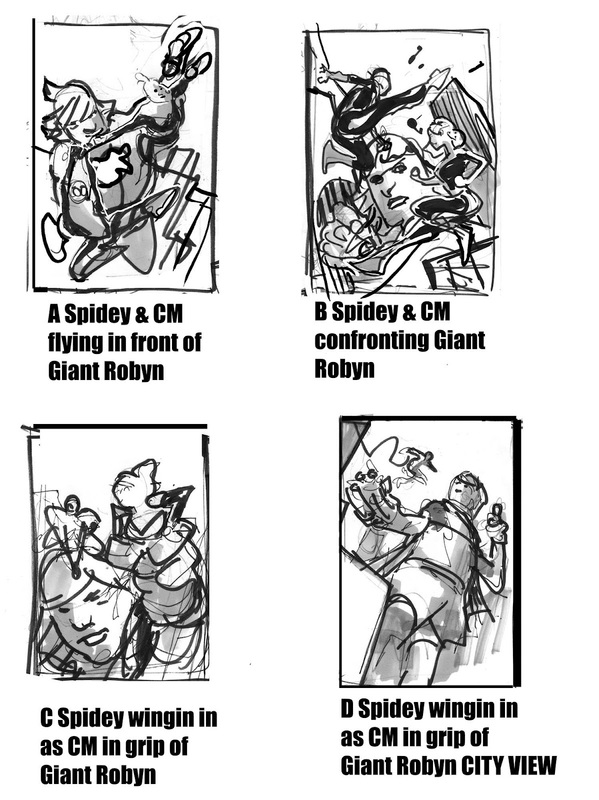 Next, I cleaned up the sketches in Photoshop and prepared for Marvel's Editorial to approve. 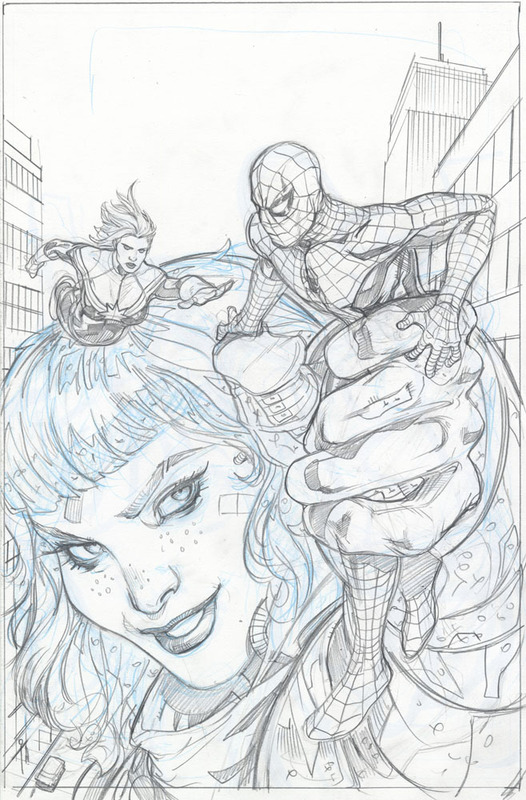 Initial pencils drawn in Light Blue and HB Pencil on 11 x 17 2 Ply Strathmore Bristol Board. 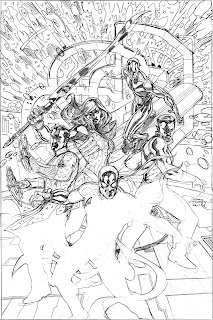 Here's the final pencils of the cover. 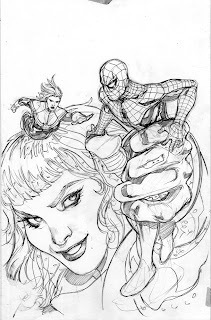 Rachel Dodson's inks of the cover using Windsor Newton Series 7 #2 Sable Brush and FW Acrylic Ink and Crowquill and Tech pens on Background. 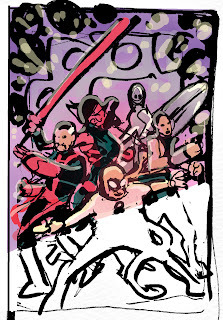 My initial flat stage of coloring - in Photoshop. 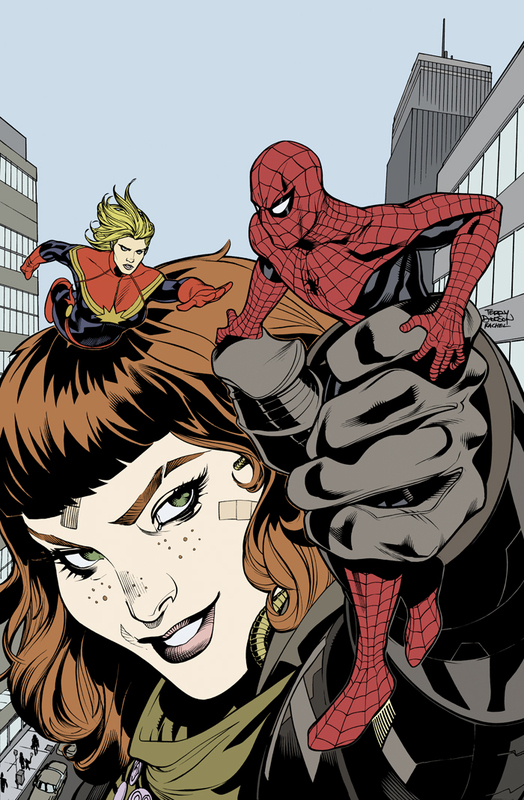 First pass at coloring in Photoshop CS3 using a Wacom Graphics Tablet (circa 2001) at 7 x 10.6 inches and 800dpi in RGB using Channels. The final colors after turning black line art to color line art. 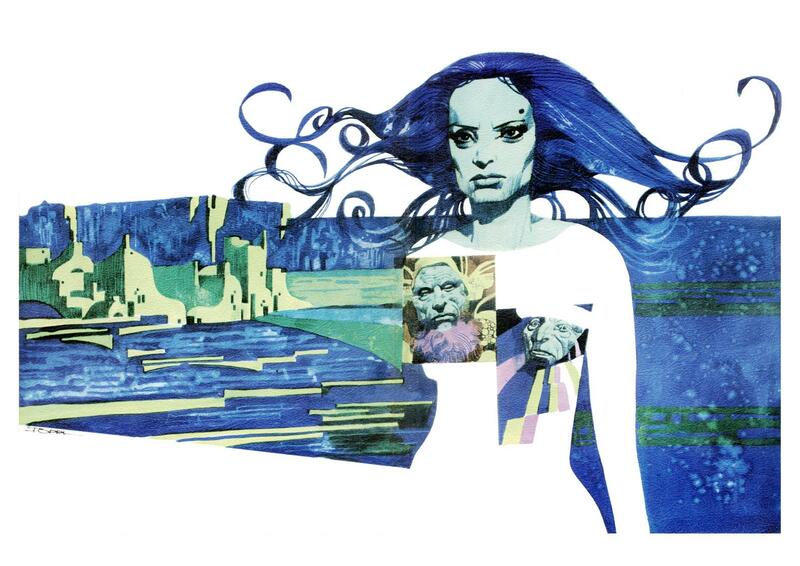 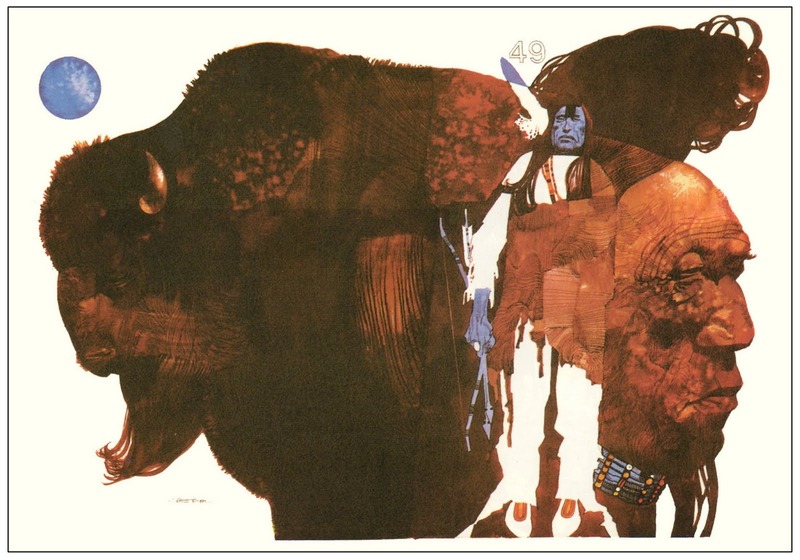 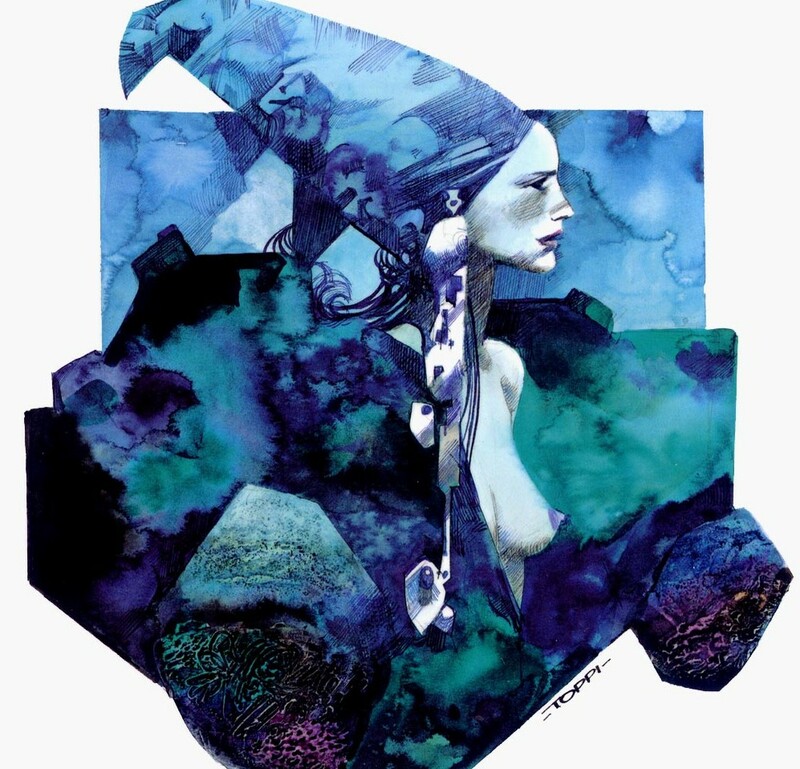 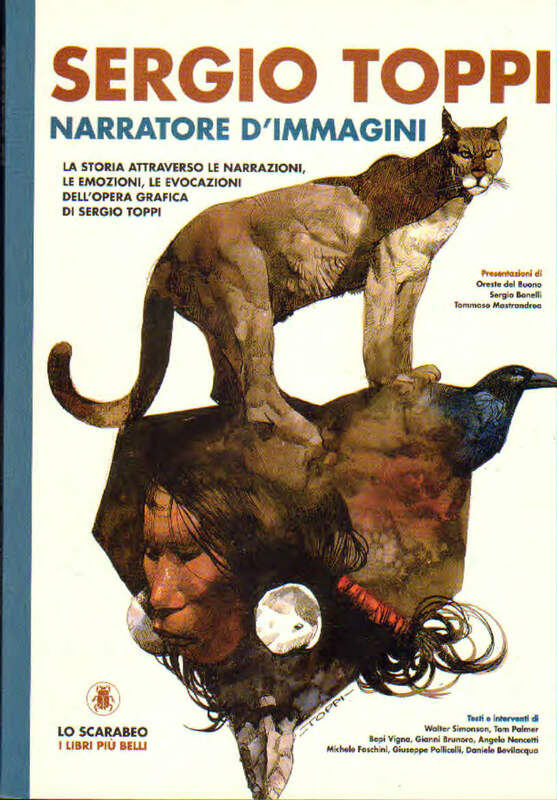 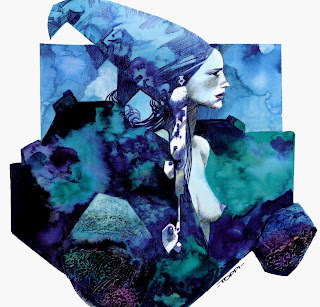 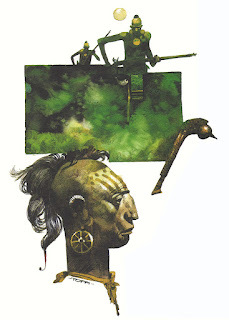 Sergio Toppi recently passed - do yourselves all a favor and check out his amazing work! I love his color work the most - a great mix between Gustav Klimt and Bernie Fuchs. adjusted and colored in Photoshop I sent in to Marvel for approval. 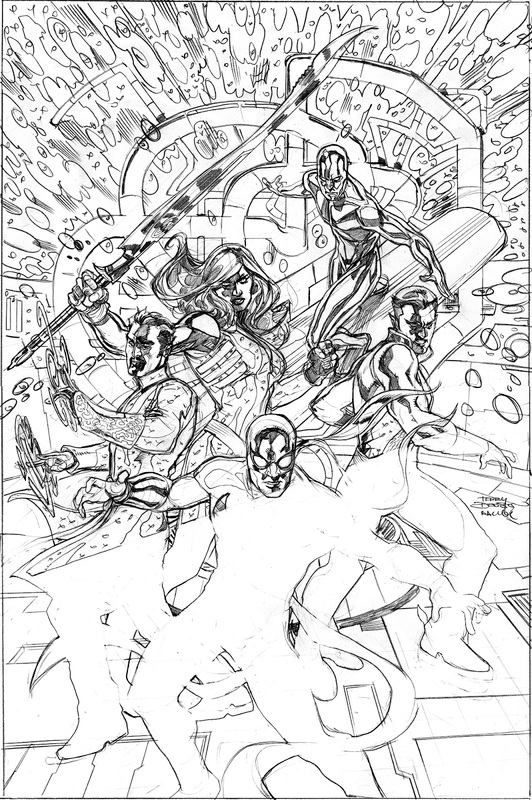 Next stage and coloring of line art on a separate "Screen" Layer .